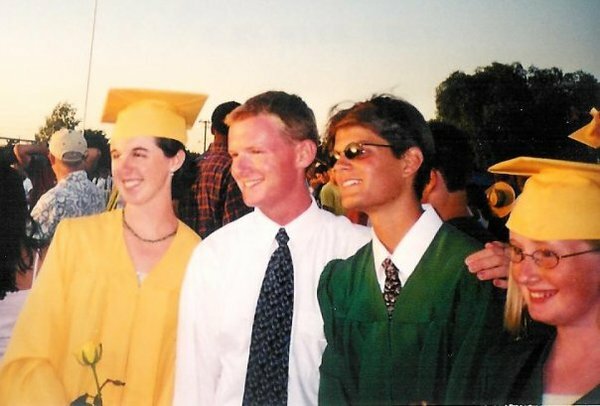 Jonathan and I began dating in 2003, and married in 2004, while I was still in school. We lived in Livermore, 10 minutes from his job, and I commuted to and from UC Davis for the next two years. The round-trip was 160-odd miles, and by the end, I could do it with my eyes closed. When I graduated with my B.A. in English in 2006, I felt grateful for many things, but Jonathan was definitely at the top of that list. He supported me financially and emotionally that whole time. My education was as much his prerogative as it was mine. Six years later, I graduated from Lesley University with my MFA in Creative Writing, and as you can see, not much as changed. My hair color, sure. And my commute time increased a bit since we moved to Norway. Hah! But we haven't lost our style, our energy, or our love.